A total of 733,713 students aged 9 years old and above from public schools who got injected with Dengvaxia last year will be monitored by the Department of Education (DepEd) with Department of Health (DOH). The agency released a statement that the health and safety of learners is their top priority. As they are the stakeholder, they will participate in the consultations and reviews of DOH on their dengue vaccination program. 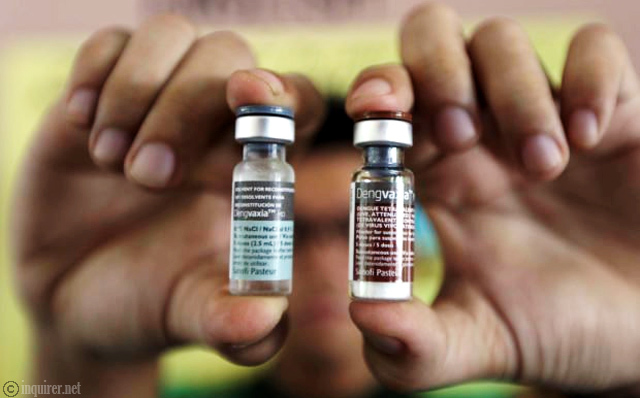 Health Secretary Francisco Duque III yesterday revealed the suspension of Php 3.5 billion anti-dengue immunization drive as Sanofi Pasteur, the distributor of anti-dengue vaccine, admitted that it will be more dangerous for those who haven’t infected by dengue. The updated information of the clinical results also showed it will be risky for the students who got injected with the vaccine. Meanwhile, former DOH undersecretary Dr. Susan Mercado slammed the government on her facebook post and called the program the biggest public health scam in history. The Volunteers against Crime and Corruption (VACC) will also file a request to DOJ to investigate about this issue. Senator Sherwin Gatchalian and Senator Joseph Victor Ejercito both appealed to the concerned parents of the students who received Dengvaxia to be serene and let the authorities handle the recent problems regarding the anti-vaccine. Ejercito insisted that it is still early to have conclusions and they should not panic. Once DOH, WHO, and other health organizations will gather information and submit it to the Senate, he will intend to inquest this matter. On the other hand, Gatchalian wants Local Government Units (LGU) to assist DOH in corresponding with the parents and make them calm. He also revealed that the LGU in Valenzuela already organize its people to tackle the concerns of 15, 538 children at the city who were injected. Senator Gatchalian said that because of this process, it helps the Valenzuelano parents to feel a little easier.